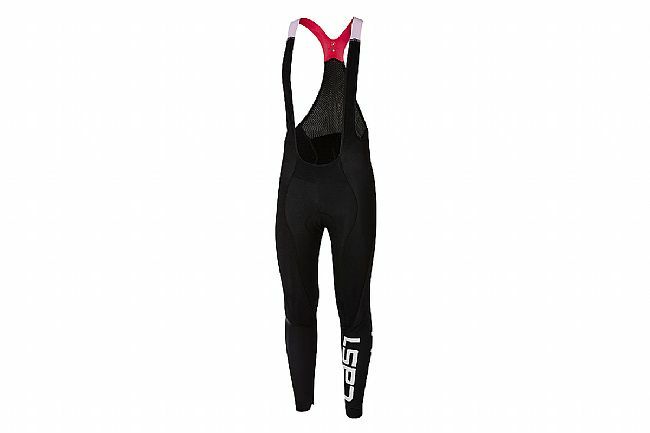 Designed for more temperate winter conditions, the Castelli Men's LW Bibtight is just the right tight for cool conditions. Featuring a similar upper to their wildly popular Omloop Bib Short, the tights themselves are a more lightweight, breathable layer than the standard burly winter blockers. Providing warmth and support, the LW features Castelli's tried-and-true Progetto X2 Air Chamois for multi-density support that can stand up to long days in the saddle. These feature-packed tights provide a friction-free, chafe-reducing fit thanks to offset seams and soft, cozy fabrics. Alternating between Thermoflex upper panels and Nano Light lower panels, the LW packs the best in breathable thermal regulation and water-resistant protection.